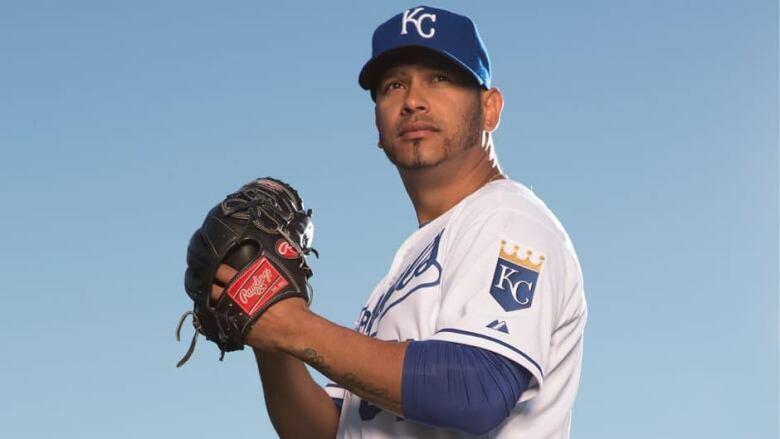 The Toronto Blue Jays claimed right-hander Guillermo Moscoso off waivers from the Kansas City Royals on Saturday. The 29-year-old Venezuelan appeared in 23 games last season for the Colorado Rockies, making three starts and posting a 3-2 record with a 6.12 ERA. He pitched in three games this spring for the Royals, posting a 0-1 record with a 9.00 ERA in 5.0 innings pitched. Moscoso's record in parts of four Major League seasons is 11-12 record with a 4.16 ERA in 57 games, 24 starts. The Jays now have 40 players on the 40-man roster.